Eric Rohlffs is an avid hiker. Not much more to it than that. One of those guys that uses every spare moment to explore the deepest cracks of this wonderful island. 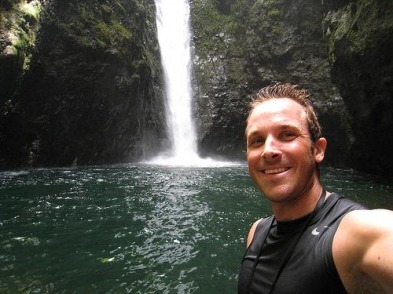 For the past 13 years, Eric has been putting together a detailed map of Kauai and all of its hidden gems. Scouring every corner of every narrow valley. From secret waterfalls to unknown swimming holes to private vistas -- Eric has “mined” out all of those places that one only dreams to explore -- Garden of Eden type settings that take your imagination for a ride. He takes pride in showing the side of Kauai that many people imagine, but rarely get to see with the typical, run-of-the-mill tours. He grew up hiking and camping in the Cascade mountains of Oregon and has now realized his lifelong passion of hiking the Garden Isle every day. He is experienced in every type of terrain and weather condition that you will confront. Eric is well trained in the unique climate that is Kauai - a climate that can downpour in one location, and be perfectly dry a mile away. He is trained in the survival techniques and first-aid measures that allow you to put your mind at ease. His mind works like a map, complete with every trail and “non” trail that reveal the perfect spots that only the locals have heard of. Whether it is scrambling up a stream bed, strolling down a trail, or scaling a waterfall, his knowledge of the island will prove invaluable. 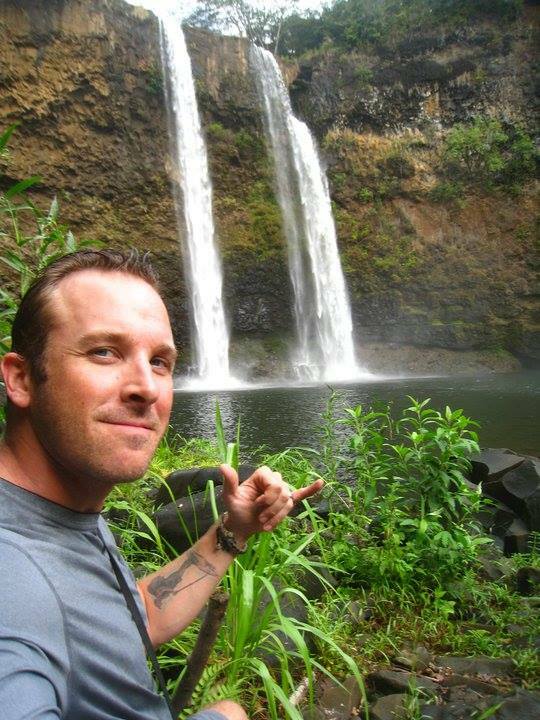 Eric doesn’t know much, but he does know one thing very well -- Hike Kauai With Me will be an experience of a lifetime for you, your family, and your friends. 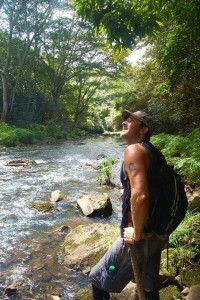 And now, Eric has expanded the Hike Kaua’i with me brand by putting a team of top-notch local hiking guides in place who apply the same energy and passion for showing off the Garden Isle. Aloha! Interests: Hiking, backpacking, camping, kayaking, reading, writing, yoga, music, nature photography, mountain biking, stand up paddle boarding (SUP), yardwork, traveling, history, geography, maps, foreign cultures, world events, OBSESSED with the Kauai backcountry, Philippines, Lakers and Dodgers.